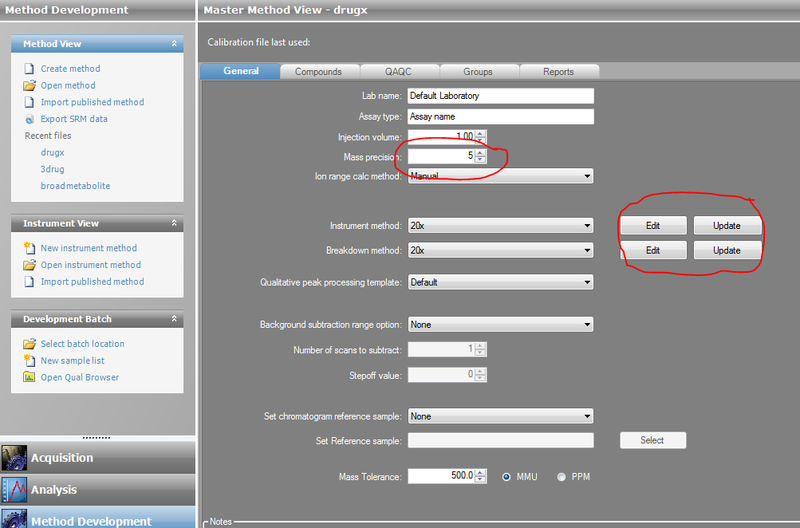 In the Master Method you can review settings for your Triple Quad mass specs, such as Retention time, window of detection, collision energy…..
You can also make adjustments in the Master or Local Method to your Retention Time. Either by manual entry or by using several ways of performing automatic adjustments. The issue comes in that when you make these adjustments in processing part of the method, the instrument method doesn’t know about them. So if you are using TSRM you have to update in two places. The Acquisition List is updated with the changes to windows and Retention times and can produce a file that can linked or exported out for adoption by the instrument method. This allows you to edit in one place and by using the Auto TSRM update check box on the Acquisition section, You’ve just now reduced the typing and file coordination, that has to be done. In the Master Method, a user assigned an instrument method that resides in the c:/Xcalibur/Methods folder. This method is then copied into the Master Method folder when the Master Method is created. Thsi allows the Xcalibur copy to remain as a safe back up. Two things can be done, you can open the Xcalibur method up and make changes and do method development in xcalibur, and once satified, update the Master method from the altered Xcalibur Method. 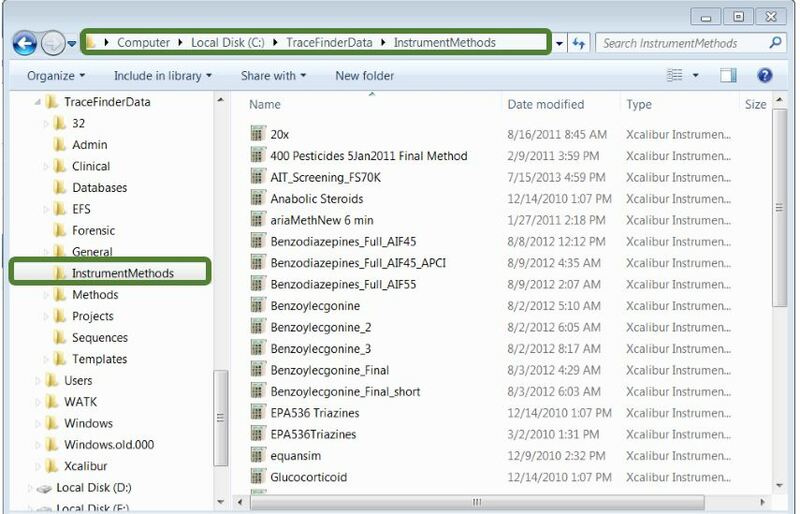 Alternatively, you can edit the Master Method copy of the instrument method and once satified update the c:/Xcalibur/Methods folder copy of the instrument method so that new Master Methods created with that instrument method will inherit the changes you made.